Nowadays, banks and credit card companies are rolling out more and more RFID chipped cards, so I've decided to learn more about them. 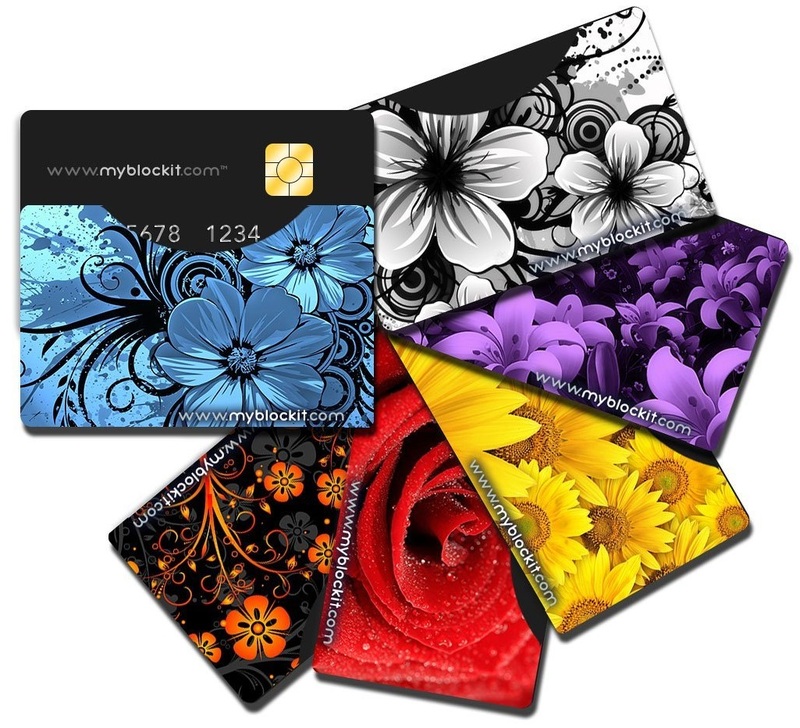 While using RFID chips in your cards is supposed more secure and more convenient than the magnetic stripes we’re all used to, they’re still not 100% safe. 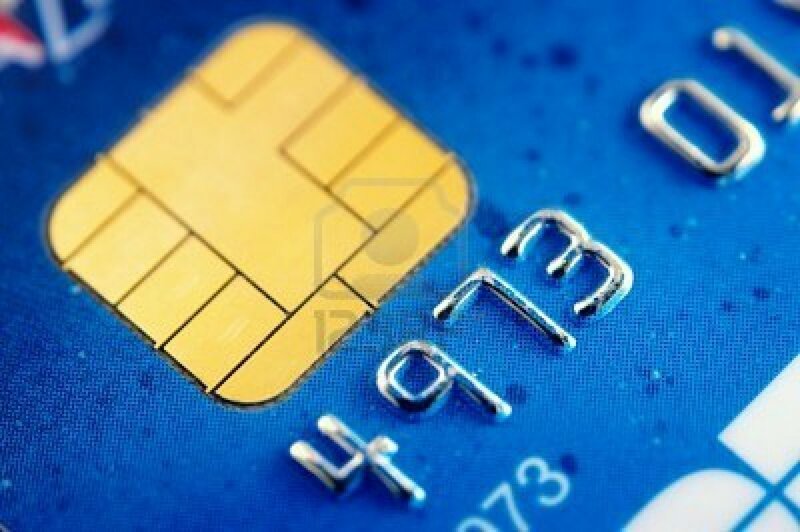 The problem with RFID chips is that people can create or buy and then use a card reader to steal the information off your RFID chip and then use it to create a new card with all your information on it for their spending spree. So, how do you stop this theft when the person doesn’t even need to get close to you to take your information? By using tools such as RFID blocking sleeves. So what are these sleeves? Sleeves that shield your credit card or passport are inexpensive, and are basically all they are is a pouch lined with heavy aluminum foil. They’re smaller, and are designed to hold one or two of your cards in them. Keep in mind, most sleeves don’t entirely block transmission of card data (nothing is 100% fool proof), but using a sleeve or wallet makes the likelihood of the card being read much less. And thanks to Consumer Reports and theinfomine.com for the great tutorials and background (and for giving me my testing idea). These sleeves are absolutely gorgeous! I received the rose and the sunflower ones to review. One had the slit on the top and the other had the slit on the side. I found that the card with the slit on the top was easier for me to use, but both work fine. However, my biggest concern was if these actually work. The fact that these sleeves have gone through government testing (approved FIPS 201 for Use as Electromagnetically Opaque Shields) was very reassuring to me, yet I still wanted to find a way to test them that didn’t require me breaking the law. While looking up ways to test it, I found several articles including one from Consumer Reports that gave me my testing idea. Keep in mind, this is just my own personal test, so I’m not claiming any expertise. Since these are designed to block radio waves, I tested these by using a radio. I put the cards on top of the radio antennae to see if the signal was distorted or blocked in any way. I found that when I used the cards, the radio signal was affected. The difference was noticeable between me using the card and not using it. The volume lowered and it sounded like the songs were skipping some since words were being left out (due to being blocked). However, the radio antennae was still able to pick up radio waves, just not all of them. So while this didn’t block all of the radio waves, it did block some of them, which would make my information on my RFID chip harder to steal. So, even though it didn't block all the radio transmissions, after researching, I discovered that virtually no sleeves or wallets block all transmissions. However, these sleeves did block the transmissions significantly, to the point where I feel like my information would be safe. All in all, these are fun, colorful sleeves that work, and have gone through rigorous government testing (which not many other sleeves can claim). So even though they may be more expensive and you get fewer sleeves, I still think these are a good value and recommend getting them. 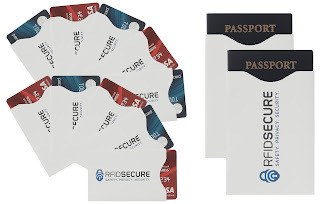 RFID SECURE was founded on the premise of equipping consumers with the right tools to combat digital pick-pocketing and provide peace of mind. If you aren't 100% satisfied with your RFID SECURE sleeves, we will provide you with a refund or a free replacement. Current Sale - For a limited time only, we're offering a discount of 73%. These sleeves didn't fit into wallets as well as they claim. The sleeves increased the size of the cards to the point where they wouldn't fit into some of my tighter fitting wallet sleeves. Also, the passport sleeve didn't fit, and I actually ripped one of the sleeves attempting to get my passport to fit. However, my biggest concern was if these actually work. When looking for a way to test these that didn’t require me breaking the law, I found several articles including one from Consumer Reports that gave me my testing idea. Keep in mind, this is just my own personal test, so I’m not claiming any expertise. Since these are designed to block radio waves, I tested these by using a radio. I put the cards on top of the radio antennae to see if the signal was distorted or blocked in any way. I found that when I used the cards, the radio signal was affected. The difference was noticeable between me using the card and not using it. The volume lowered whenever I put the card on top of the antennae, presumably due to being blocked. However, the radio antennae was still able to pick up radio waves, just not all of them. So while this didn’t block all of the radio waves, it did block some of them, which would make my information on my RFID chip harder to steal. So, even though it didn't block all the radio transmissions, after researching, I discovered that virtually no sleeves or wallets block all transmissions. However, these sleeves did block some of the transmissions, to the point where I feel like my information would probably be safe. All in all though, the card sleeves do work and they are cheaper than others on the market. So if you're looking for a cheaper alternative to other sleeves, you might want to look into these. I'm not normally a big historical fan, but after reading two of Jones' other books, I decided to give this one a try as well. I have to give Mr. Jones some major kudos, he picks some of the most random and most controversial topics to write about, and does it well. I was curious to see how he would portray Jenny's decision to have an abortion, and while I might not agree with her decision, the way it was handled, and the way that Jones wrote about this time period was astounding and eye-opening. This was before Roe vs. Wade, a time of backroom abortions that could and often did go horribly awry. Seeing what Jenny went through, and her reasoning was powerful and made me tear up at times. Jones did a great job portraying Jenny and in bringing the struggles of women like Jenny during that period of time to life for me, the reader. While the book started slow for me, and lagged a bit at times, I was drawn in. Once the action started happening, I couldn't stop reading. Plus, not only was the plot and the writing good, but the author did his research. I felt like I was in the 1920s, dealing with the Mob and struggling like Jenny was. I felt such a connection to these characters, who were fleshed out and so human, I could see them existing in real life. While this book does deal with heavy subject matter and can get violent and even disheartening at times, it was still a fascinating read, and one that I highly recommend. • “The Ghoul School Bus” where students inadvertently board the wrong bus, one filled with surprisingly lively skeletons. • “Déjà vu”, a spine tingling paranormal account of a drowned mother and a lost child. • “Challenged”, a hilarious tale of a failed attempt to retrieve a rare oozlum bird’s egg. • “The Rock Castle Overseer” where the forever damned spirit of a crual plantation manager rises whenever the cicadas sing. • “The North American Rocketship”, a point in describing the X-15 vicariously brought to life in useful minds of all ages streaking across imaginary skies, slashing to ribbons clouds it did impede its passage. Wow...I don't know what to say about this book. It's definitely an eclectic collection of stories, that's for sure. The book starts with paranormal and other odd stories. Now this truly was an odd collection. The stories were a mix of fiction and nonfiction (and often a little bit of both). There were several ghost stories which were intermixed with perfectly ordinary stories dealing with family and love (Everything Will Change) or odd occurrences that have nothing to do with the paranormal at all (such as Obituaries). I enjoyed most of these stories for one reason or another, and I liked the fact that many of the stories had photographs to go with them. The author also included author's notes at the ends of several, explaining how much was fiction vs. nonfiction, background, etc. My personal favorites though were actually the author's stories about his life. I figured this would probably be the most boring section of the book. The first story, Growing Up Deprived, started out slow, but ended sweetly and sentimentally, which I liked. However, once I started reading the stories of his adventures in the Boy Scouts, it was smooth sailing. Reading about the training and challenges they faced...you don't see that anymore. It was even shocking at times what the scouts were expected to be able to do, and that no one ever got sued. For example, one of their scout masters made them start setting up camp and then out of the blue announced that they were actually in the wrong spot and needed to hike 4 miles to the correct location. It was fascinating getting this glimpse into another place and time, and was surprisingly my favorite part of the entire book. 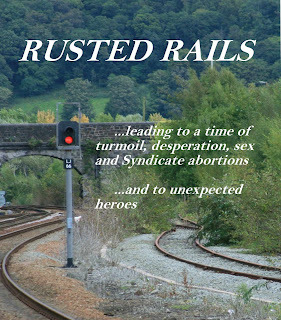 Other stories about crazy coincidences and events from the author's life rounded out this section, leading into four poems previously written by the author, and now being published in this format. 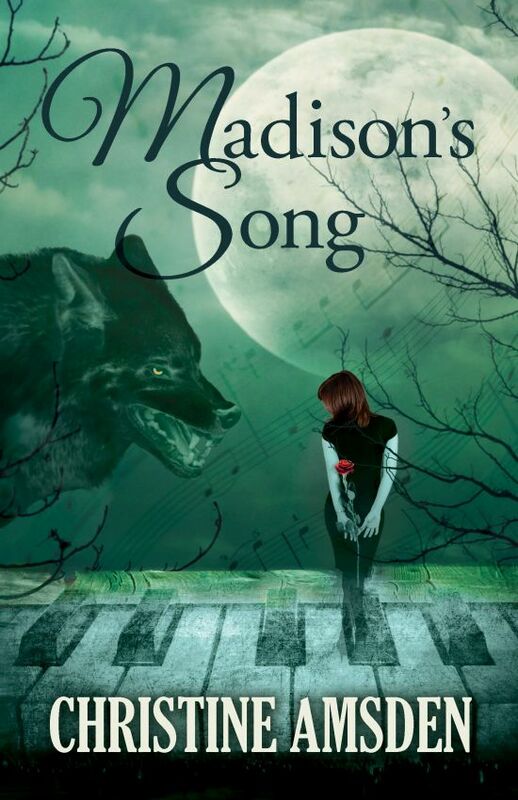 The poems were oddly enough a great way to end out this book, and I enjoyed it till the end. My only real complaint about the book was the editing. I think the story needed to go through another round of edits just to fix the grammatical mistakes that spellcheck should have caught. I started marking and editing as I read, it was bugging me so much. This would have definitely been a 5 star read for me, if it wasn't for the bad editing. All in all though, this is definitely not your typical book. This is the kind of book you need to approach with an open mind. While the stories didn't always seem to go together, they still fit together and were enjoyable. I would definitely recommend giving this a try if you're looking for a challenge or something different than what you would normally read. Even with the editing errors, I still enjoyed the book, and would read it again in a heartbeat. This was my first taste of Wade’s work, and I absolutely loved it! 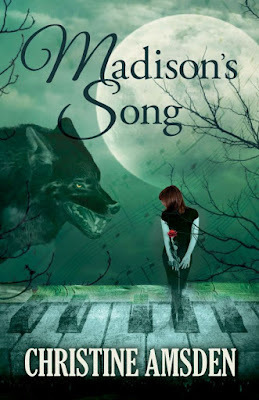 This is one of those books that has big reactions from the readers; either you'll love it or you'll hate it, there's not a whole lot of middle ground. I loved the quirky language that fit the characters, and there were times I just couldn't stop laughing, it was so funny. The characters are quirky (especially Cole) and the writing style is different than what you’d usually expect as well, which was very refreshing to me. I also didn’t mind the multiple POV changes that much since it fit into the story and added to it (in my opinion), but not everyone will like the jumping POVs. The only downside is that the book started dragging a bit in the middle and near the end, but all in all, it was a great book that I'd highly recommend. For today’s Wellness Wednesday, I want to talk about my face. Yes, I know, it’s gorgeous, but that’s not what I want to talk about. Instead, I want to talk about the nuisances…acne, oily skin, breakouts, etc., etc. I know that I personally have oily skin, to the point where if I don’t wash my face at least once a day, it bugs me. However, while I want the excess oil removed, I’m tired of skin care products that leave my face feeling like the Sahara (or so tight I’m afraid it’ll break if I smile). 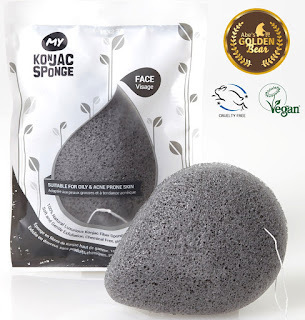 So, I’m always on the lookout for better alternatives, and along the way, I heard about Konjac sponges. Now I’ve been hearing about these for years now, was even supposed to review one in the past, but never seemed to get around to using them. This was primarily due to the lack of information available about them (it seemed the only sites I could find information on were all advertisements, not third party sources). 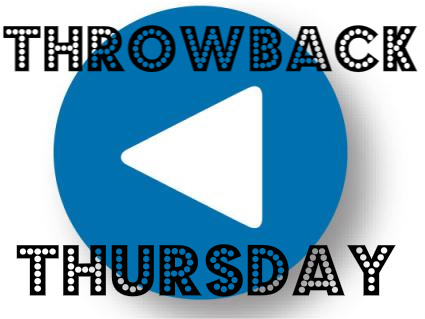 So I pretty much forgot about them, until I was recently asked to review the MY Konjac Sponge. -These are made from the root of the konjac potato or Konnyaku. It's a perennial plant native to Asia, found growing wildat very high altitudes. -The sponges are used to help more effectively dislodge, dirt, oil, and blackheads. -They can be used by themselves or with your facial cleanser. Sound interesting right? Fortunately, I was able to receive the MY Konjac Sponge to review. MY Konjac Sponge is made to the very highest of standards, using the purest volcanic rock filtered water and food grade konjac. All of our products are hypoallergenic & fragrance free. All of our products are never tested on animals, and they carry the Vegan Society logo as well as Leaping Bunny logo, the highest standard of cruelty-free status in the cosmetics industry. Our products are proudly carried by Whole Foods Market, King's Food Market and major online retailers. I have oily skin, and I keep running into problems where cleansers either don't work very well or they work so well that my face feels like it's going to snap, it's so tight. So I once I heard about these, I decided to give them a try. This sponge comes in the package rock hard, but after soaking it for a few minutes, it softens and increases in size. I liked using this sponge, as it was very easy to use and clean up after. Plus, you can use it either by itself or in conjunction with your facial cleanser. Using the sponge by itself worked, but still left parts of my face oily. However, when I used it with my cleanser, it worked much better. I still got the clean skin I was looking for, yet my face wasn't totally dried out. Plus, I ended up using less cleanser than I normally do, as the lather was greater when using the sponge. So I not only get to save cleanser and get the clean I'm looking for, I also have a temporary back-up for if I run out of cleanser. To sanitize the sponge, I just let it soak in boiling water for a few minutes before taking it out and hanging it up to dry. It worked perfectly fine and got rid of the slight moldy my sponge had after many uses. The company says that you need to replace these every 3 months or so, which means you can get a lot of use out of them. I've been using my sponge for a month now with no problems (aside from needing to sanitize it every 2 weeks or so). I love using this sponge, and will continue to do so. I recommend giving this a try, as it makes a great addition to your facial care products. I’ll admit, this book wasn’t quite what I was expecting. I was under the impression this would be thought-provoking, yet humorous. And while there is humor in the book, it’s a much more introspective, think-about-it kind of book. For one, I did not know who Nicholas Baker was. Once I looked him up, I wanted to see the literary journey the author was going to take me on, using Baker’s works. Plus, the title alone drew me in. However, I’m still not really sure how to review this book. 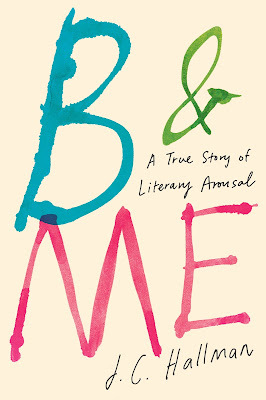 While I enjoyed how the author used his discovery and exploration of Baker’s work to show how he grew as a person, it wasn’t really my kind of read. I found it interesting on a psychological and informative level, but it’s not the kind of book I would return to read “just for fun”. I still enjoyed the book, it was just a different kind of enjoyment. So while I may not re-read this for a while, I will keep the book on my bookshelf instead of giving it away, as I think it is an invaluable read. I also highly recommend giving this book a try, if nothing else then to learn how you SHOULD write in this genre, because Hallman’s writing is a great example. 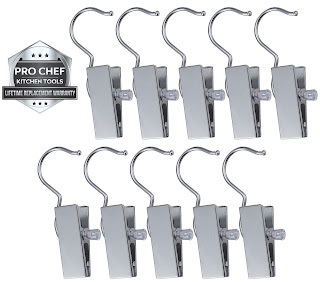 With Pro Chef Kitchen Tools Portable Travel Laundry Hooks, you can hang up anything, virtually anywhere. You can turn a door knob, a shower rod, a drawer handle and many other things into a place to hold hanging clothing and accessories. The sturdy hooks can be hung on a rod up to 1 inch in diameter, opening up the door to hanging clothing in new places in your bedroom, bathroom, kitchen, office, laundry room or hallway. At just 3 inches in size, the hooks fit easily into a travel bag for use in hotels, motels, bed and breakfasts, RVs and even in tents when you're camping. Using the hooks is incredibly easy. Just squeeze the top of the clip to open the mouth up to create an extra wide 13" by 16" opening. Slide your clothing in and release! The eight matching ribs on the clip grip all types of fabric with ease, and because the clip is coated with nylon padding, the clip catches without leaving behind a single crease. Unlike plastic clothespin hooks, our metal hanging hooks are built to last. 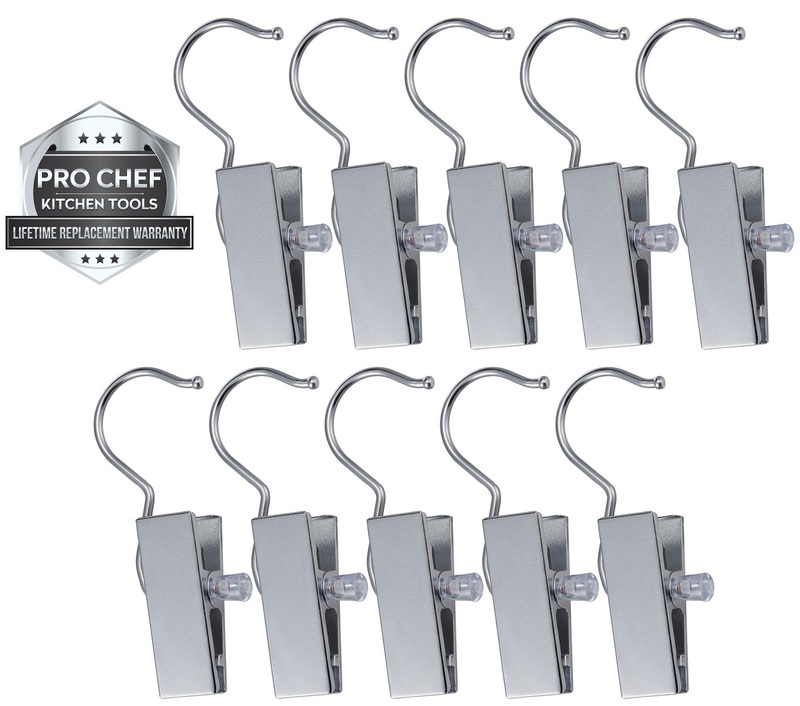 We use heavy-duty double nickel plated steel for their construction, making them stronger and far more durable than those other hooks that bend and break. 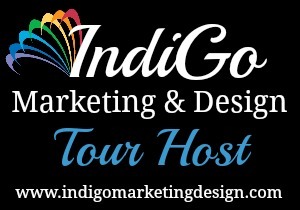 See for yourself how easy it can be to keep your clothes and accessories damage and wrinkle free. I love these! No seriously, I absolutely love them. They are so handy and helpful, and really came in handy recently. While traveling I ended up staying in a hotel that didn’t have a single clothes hanger in the closet. Fortunately, I had these in my bag since I wanted to review them, and I was able to hang up two of my shirts and my long dress to boot. These work so well, and they do a great job keeping my clothes wrinkle free. I also used this as a hook to hang my purse on and it stayed there all night long (and if you know me, you know my purse is not light). I also dropped one in the shower, and not only did it clean well, there’s no sign of rust or damage, which is great. Since I’m traveling again in a few days, I will be adding a video showing my use of the clips then, but you’ll just have to settle with a photo for now. All in all, these are so useful and helpful, I highly recommend getting a pack and putting them to the test. I’m finally back from RainbowCon! I had such a great time there and met so many wonderful people…I can’t wait to share with y’all! However, I had to finish up homework once I got back, and I’m absolutely exhausted now. So I’ll definitely be posting about the convention, but it’ll be later in the week, so keep your eyes peeled! Day Two of RainbowCon is officially over. As you may know, I’m currently at the Rainbow Conference (RainbowCon) in Tampa. I’ve been taking photos and have been trying to post them as well as information about what’s going on, but today (Friday) was the busiest day for me. I was running around all day from panel to panel, and Saturday is going to be the same too. So keep your eyes out on Instagram for the photos at the least. I’d love to write more, but I am absolutely exhausted, and I have to be up early for a panel I’m on. Have a great night (or day, depending on when you read this) everyone! Garcinia Cambogia is a tropical fruit that resembles a small pumpkin. It is typically found in South-East Asia and has been used as a cooking ingredient for centuries in both Asia and India. Its fruit rind contains an active ingredient called Hydroxycitric Acid (HCA). This active ingredient has been shown to naturally inhibit the production of citrate lyase, making it more difficult for the body to create fat from carbohydrate. It has also shown to increase the production of serotonin in the brain, which can lead to decreased food cravings and appetite suppression. By extracting HCA from the fruit and adding it to supplements, the percentage of the active ingredient is increased - and as such, so is its weight loss and appetite surprising effects on the body. While many people taking Garcinia Cambogia supplements have confirmed experiencing significant and healthy weight loss, as well as much improved health, please be aware; GC works best when combined with some exercise and a good diet. These pills were easy to take and swallow, a huge plus in my book, and I only needed to take them twice a day, which I liked. I also noticed that I was able to eat less at meals, yet still feel full and energetic. While I lost 15 pounds while taking these, I also started an exercise program, so I can’t say my weight loss is due entirely to using these. However, I still thought that these were a good deal, and I will probably keep taking these in the future if I keep seeing more weight loss. I would recommend at least giving these a try, since a lot of people (including myself) have found success with weight loss while using these. 10: 3 Partners in Shopping, Nana, Mommy, & Sissy, Too! 44: Vala Kaye's "Other World"